We deal with a variety of medicines and supplements that are jointly developed by YAKUO Pharmaceutical co.,Ltd and Pharmacies in Japan. Some of them are being introduced as the following. 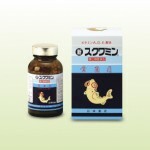 It works well as a nutritional supplement when you are fatigue, malnutrition, and lactation of pregnancy. 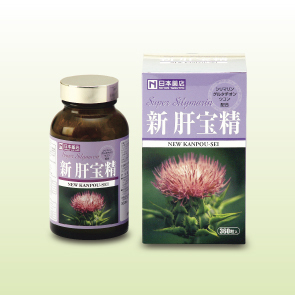 Combine with animal herbal of deer antler, extraction from plant herbal of ginseng, oxoanions gin from garlic, chinese herbal of polygonum multiflorum and polygonatum falcatum, and vitamin B+ and E, it becomes a new medicine blended in soft capsule, which is easy to drink. It works well as a nutritional supplement when you are fatigue, malnutrition. Combine with animal herbal of seadog kidneys, calculus bovis, deer antler, gloydius blomhoffii, royal jelly, extraction from plant herbal of ginseng, oxoanions Gin from garlic, and vitamin B+ and E, it becomes a new medicine blended in soft capsule, which is easy to drink. It is the only medicine consists of over 80 % of phosphatidyl choline and purified egg yolk lecithin. Compound of choline provides nutrition to brain and cranial nerve and enhances excretion of wasted material in the vessel. 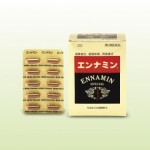 In addition, combine with hippocampus which consists of a large amount of choline, taurine which to increase metabolic functions, and γ-oryzanol oil extracted from rice, it becomes a nutritional supplement for this modern century of intelligence, vigor, and stamina. Combining ingredient 5 of animal herbal of Calculus bovis, ingredient 7 of plant herbal of eucommia, ingredient 8 of vitamin B+ and vitamin E, all 20 ingredients mixed together in balanced and is filled into the hard capsule as a revitalizer. Medicinal ingredient will boost the metabolism with blood around body, to restore the function of the body. 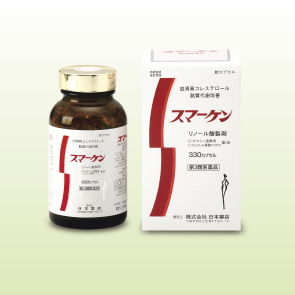 As a revitalizer, it becomes a new type of medicine to build up strength to the body and improve the functioning of a weakened body. A soft capsule was filled with the formulation of retinol palmitate of vitamin A, cholecalciferol of vitamin D, and tocopherol acetate Vitamin E. As a pharmaceutical medicine, it is good for the prevention of lifestyle-related diseases, health of bones, teeth, and eyes, and anti-aging and circulation of peripheral blood vessels. It takes effect on the poor development of teeth bones, rickets (illness such as curved spine because of the lack of vitamin A D), dry eyes and night blindness disease. The mystery of the vitality of Deep-sea shark’s life is the “squalene” found in its liver. Normally, fish liver oil is kind of animal oil, but “Squalene” contains unsaturated hydrocarbon, which is easily absorbed as a plant organism. To prevent oxidation of 99.9% of squalene, concentrated soybean containing natural vitamin E is added to the deep-sea extraction and put it in the soft capsule. Please use it to keep your health maintenance. 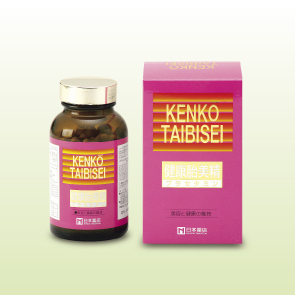 Saying that “Kanpo-sei” is a supporter of liver, it is a product for the protection of the liver with the effect of detoxification and antioxidant action. 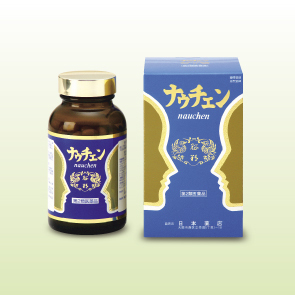 It is granule combined with high silymarin essence with glutathione yeast extract, concentrated extract of turmeric, concentrated extract of dandelion, Tienchi ginseng. It is good for modern stressful people to take care of their liver from tobacco and alcohol. The Health beauty Essence Purasetamin were formulated by placenta rich in essential amino acids of arginine, histidine, phenylalanine, tyrosine, and leucine. 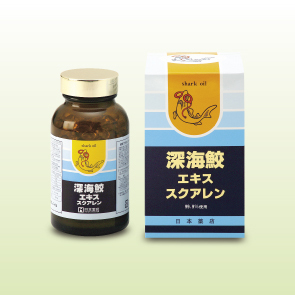 In addition, the purpose of feeding is to combine the essence of the active ingredient taken from garlic and Essence vitamin of ginseng. 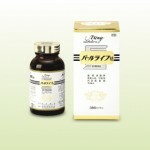 It is highly recommended to the ones who are on diet and interested in beauty. 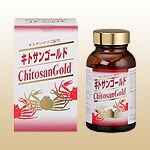 The chitosan is easily absorbed; plus, Chitosan oligosaccharide, which various effects can be expected, and concentrated extract of Agaricus β-carotene, α-carotene, perilla oil is added and packed into capsules. Please take to stay healthy.